The world's largest coffee pot, a festival for twins, Gene Wilder at home and no less than thirty-eight swingers' parties – Toronto-born photographer Naomi Harris has seen it all. Her work has been published by Taschen and featured in publications from Lucky Peach to Marie Claire. Needless to say, her portfolio was going to be interesting. But it's also considered and playful, thanks to help from designer Noah Phillips, who masterminded the layout, typography and clever headlines (see above). We reached out to Harris and Phillips to find out how the idea for a newspaper came about and which projects made the cut. Naomi Harris: I’m a portraitist with a penchant for documentary stories. I work for a lot of magazines on both sides of the pond and am interested in getting more advertising work. I really needed to rebrand and reach out to past and potential new clients. After designer Noah Phillips had contacted me about purchasing some prints, I asked him if he would help me rebrand and come up with a fun and innovative way to get my work out there. Traditional tabloid photography portfolio for Naomi Harris. Designed by Noah Phillips. 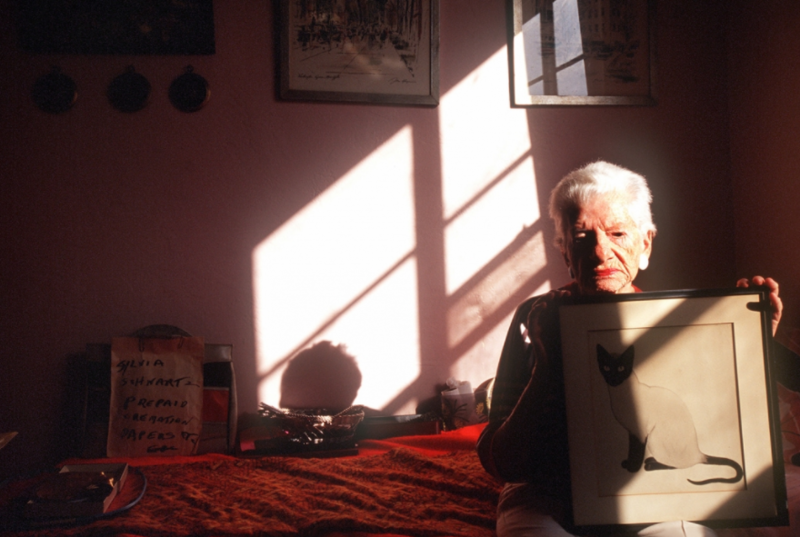 Noah Phillips: I originally reached out to Naomi after I kept coming across some of her great shots of Haddon Hall, a now defunct hotel full of geriatrics in South Beach Miami (“God’s waiting room”). She picks really interesting subjects and cultural trends from the fringes of society, capturing them with great personality and a sense of humour. 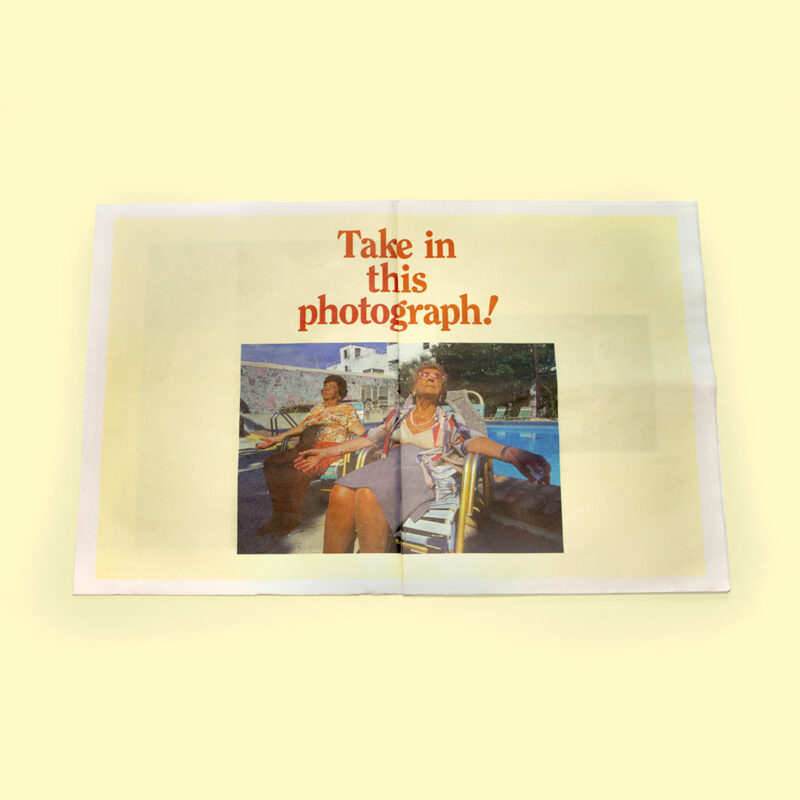 It was tough to pick a just couple shots to include in a traditional postcard promo, so we decided that newspaper was easy-to-ship large format, could include a great collection of Naomi’s photos. After looking around at a variety of samples from different companies, we decided to go with Newspaper Club and settled on a traditional tabloid promo printed on 52 gsm newsprint. NH: Now the fun part was to incorporate my photographs with Noah's design sense. In addition to being a designer, Noah is a copywriter and we agreed to make text integral to the promo. NP: The subjects are so intriguing, curious – and sometimes weird. 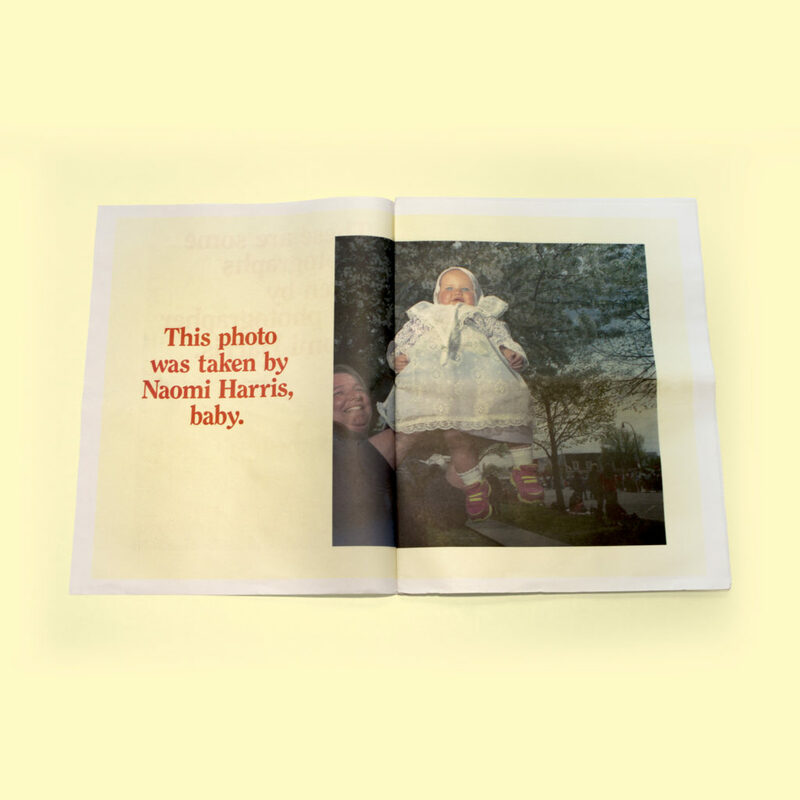 We wanted to bring the same curiosity and sense of humour from the photos into the layouts and headlines playing off the characters Naomi’s captured. NH: We decided to focus on images from both assignment work as well as from my personal work. There are images from EUSA, a current project about American-themed places in Europe and European-themed places in America, images from my Oh Canada! project, where I road tripped across the country, and even a few naughty ones from my Taschen-published book, Swingers. As an editorial photographer, I’m aware that images often read better on our computers or cell phones, backlit by monitors – while printed images can appear dull as the ink is absorbed in the paper. We thought the 52 gsm newsprint had the best quality of all the newsprints. We avoided dark photographs and brightened up many of the images to ensure they printed to their best quality possible. 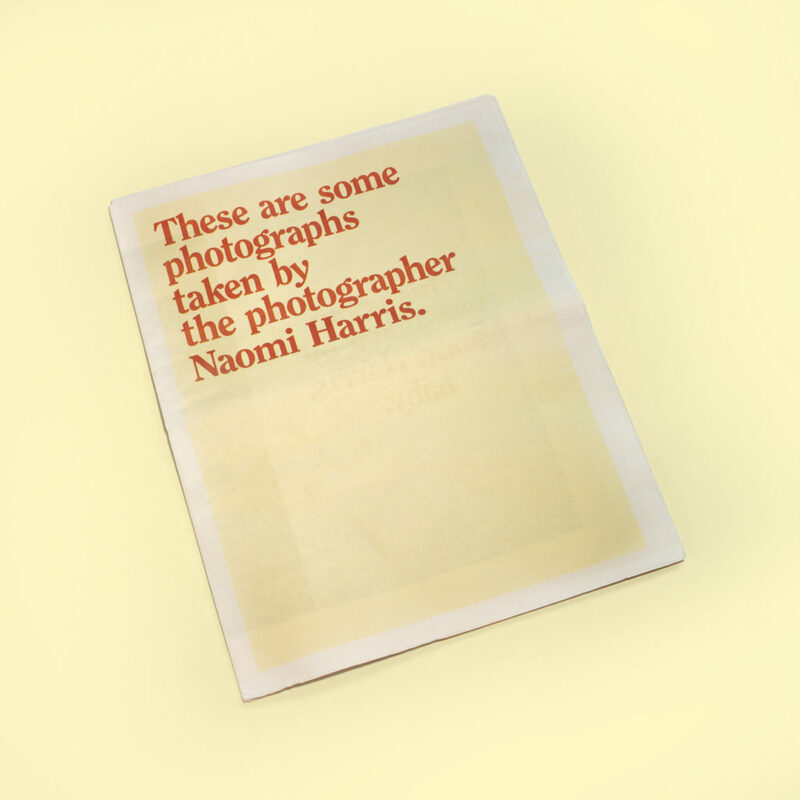 Most copies of the newspaper were sent to art directors, art producers and photo editors – but you may be able to get your hands on one by writing to studio@naomiharris.com. Look out for Harris's next project, which explores American-themed amusement parks in Europe and European-themed towns in America, coming in 2017. In the meantime, you can keep up with her adventures on Instagram.